A 17-year-old has been charged with aggravated assault with a deadly weapon after being accused of stabbing a woman in the face with scissors. A 17-year-old girl has been arrested for allegedly stabbing a woman in the face with scissors in an incident referred to as a "fatal attraction" that may cause the woman to lose both of her eyes. 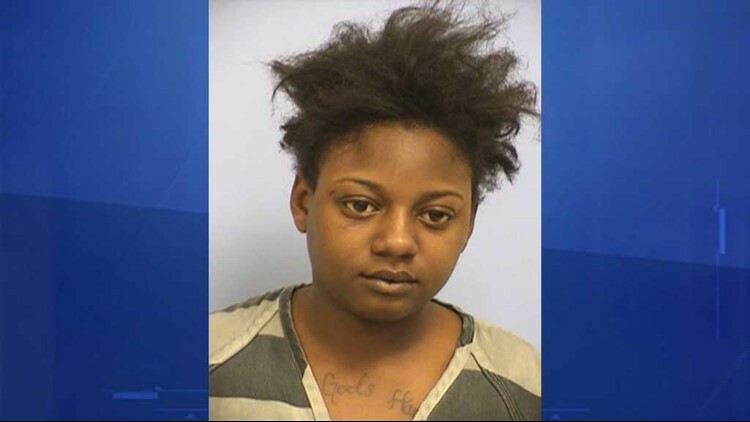 The suspect, identified as, Taneese Mackey, 17, was booked into the Travis County Jail after 11 p.m. Jan. 24. On Jan. 13, the Austin Police Department responded to St. David's Hospital in regards to a patient who was being treated for reported stab wounds. The victim had sustained multiple stab wounds to the face and to one of her eyes, police said. Police interviewed the victim's boyfriend, who said he has known the victim for about 40 years and had been dating her for about one month. According to court documents, he reported that on Jan. 13 around midnight, he and the victim were sleeping in the back bedroom of his East Austin residence when he awoke to a loud commotion and saw the female he knows as "Taneese," who he said he has known for 17 years, in his bedroom. He said the suspect and his girlfriend began to fight, he walked away to close the front door and returned to find both women on the floor fighting. When he was able to break up the fight, he reported that he saw the victim was bleeding from multiple injuries on her face due to being stabbed by scissors. After hearing the man's report, police said they checked his history in the APD database due to his familiarity with "Taneese" in an attempt to identify her. The background check returned multiple police reports involving the man and Mackey. Police said they showed the man a photo of Mackey from the database and he confirmed her as the suspect he said entered his home. After an interview with the victim, police said she reported that she was at the man's house watching a movie and around 2 a.m. the suspect barged into the home and stated, "Whoever you got here, I am gonna get her." According to court documents, the victim reported that the man asked the suspect why, to which she reportedly said, "I have a fatal attraction." Police said the victim reported she was stabbed in the face once or twice but did not know what with. She also said she did not know who the suspect was, but reported she has heard the man call her "Ashley Mackey." In a follow-up interview on Jan. 19 after her discharge from the hospital, police said the victim reported she was told by doctors she will most likely lose both of her eyes. She also said she received 22 staples closing a 9-inch laceration on her scalp. KVUE spoke with Mackey's mom Regina Mackey-Carathers, who stated her daughter has been in and out of detention centers and their relationship isn't the best. Mackey-Carathers did not want to go on camera. She released a statement Tuesday saying she feels terrible about what her daughter did and wants her to turn herself in. Mackey is charged with aggravated assault with a deadly weapon, a second-degree felony.